The different social media dapps on the various blockhain has helped to increase competitions and also bring about decentralization. I have seen a user who was banned on steemit.com platform, but does that stop him from accessing the steem block chain, the answer is #No. He can easily make use of other decentralized dapps on the steem blockchain. I have seen people mistaking #steemit.com for #steem, they are different. #Steemit.com is a decentralized blogging platform while #steem is the blockchain which steemit.com, esteem, busy.org etc was built upon. This rate of competing has helped to introduce a lot of positive things to the steem blockchain. I saw #Partiko app introducing partiko point and also notification, I saw #Steemhunt with their own token, this is the power of the steem blockchain and decentralization. 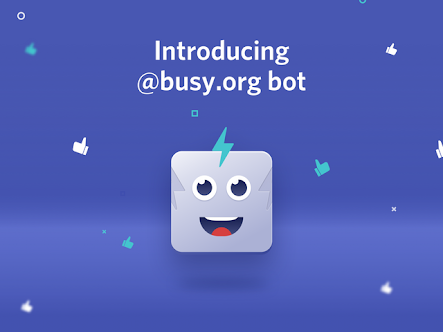 It is with this improvement that #Busy.org platform was born. Like as I said earlier, busy.org has helped to ensure that there is more modification to the steem blockchain. I will explain the following features that it entails. i. Draft: If you type your work and don't feel like posting it yet, you can make use of the draft to get it saved. ii. 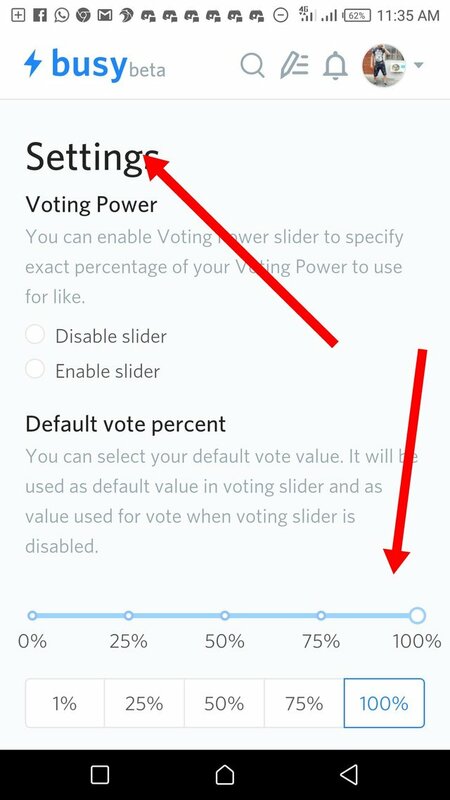 Voting bar Setting: I came across this feature when I was using whaleshare. 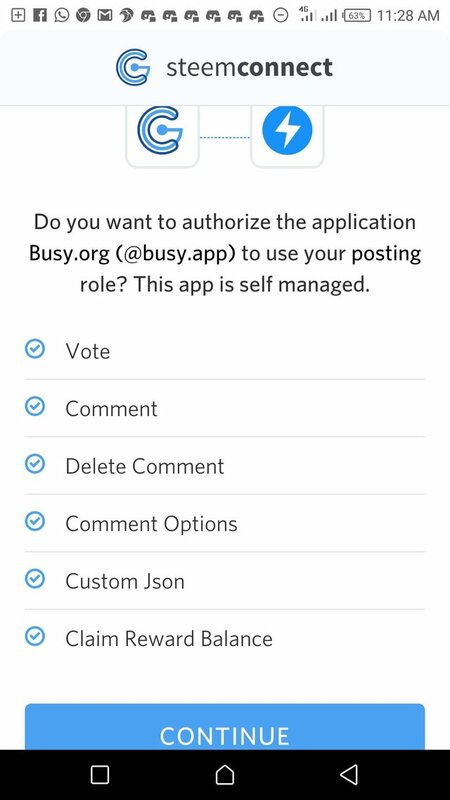 With busy.org, you can set your voting power to the percentage that you want. iii. Search option: Think of anything and search, it will display it for you. It also gives a suggestion should in case you can't remember the full thing you want to search. iv. 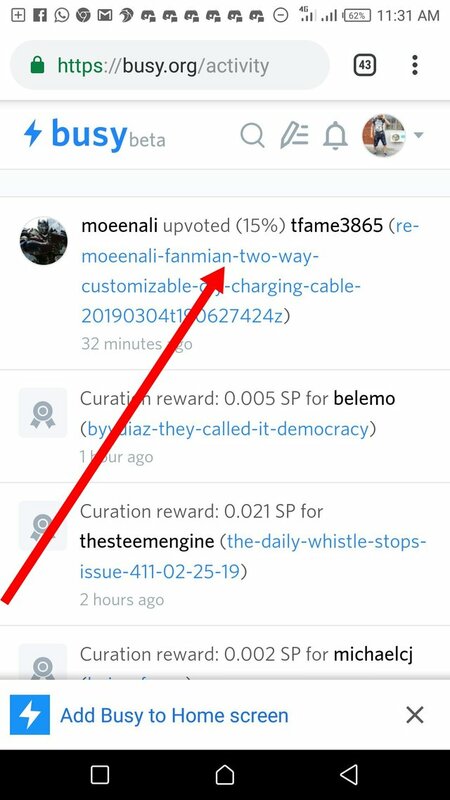 Notification: When you get voted, or someone comments on your post or reblog it, you will get notified through it. This is indeed a feature to keep us dated. 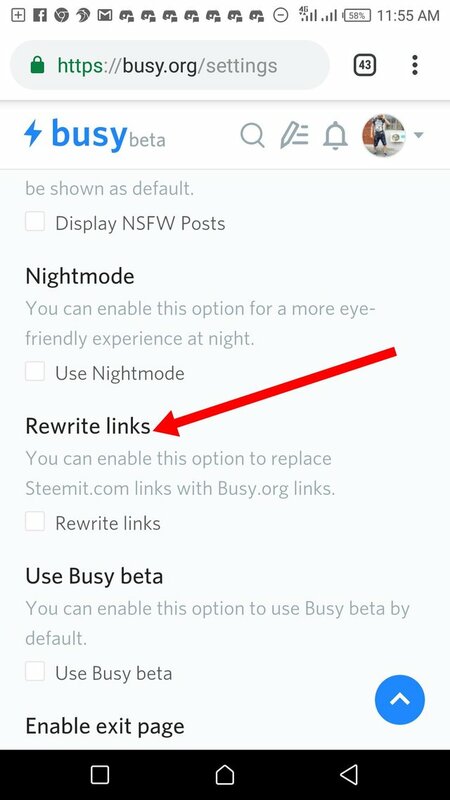 v. Rewrite link: They are some people that don't like using steemit.com link, with these features, you can easily integrate and start using busy.org link. Posting through the busy.org platform places you on a seat of receiving upvote from the community bot. The upvote is not that big, it is just to show appreciation for using the platform. N:B: For you to get vote from busy.org, you have to make use of their platform and follow all set down rules and regulation. 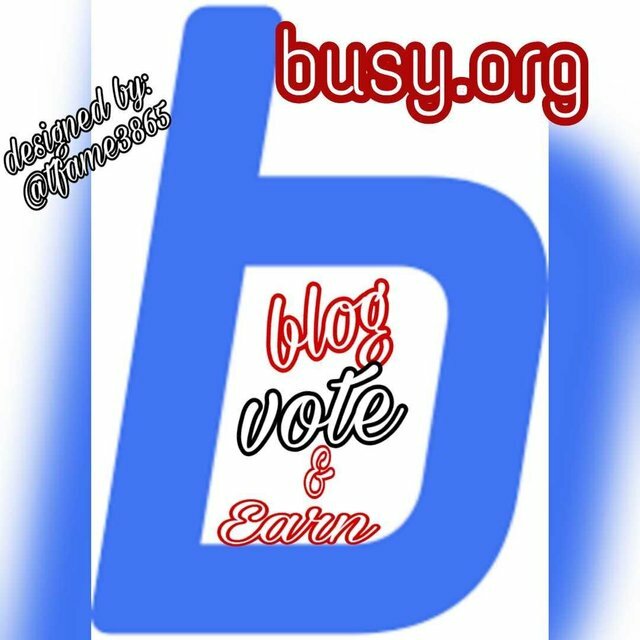 For you to enjoy the cool features that #busy.org offers, you have to first of all register on the steem blockchain. 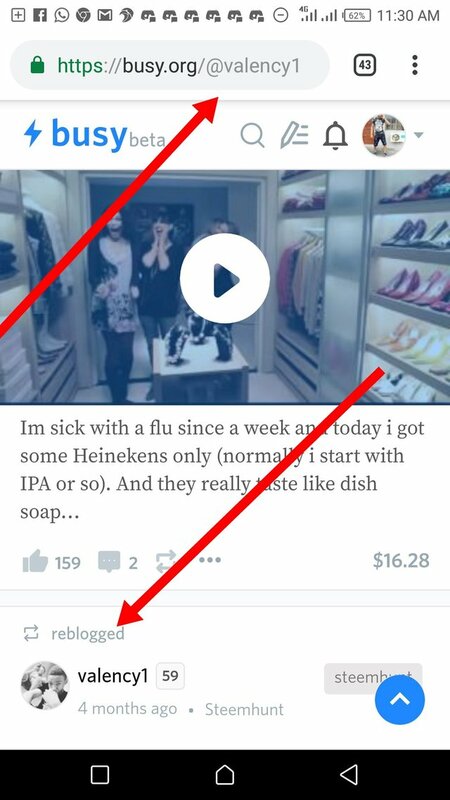 You can do that by visiting steemit.com, at the top right-hand corner, click it and click sign up. Wait for your keys which might take days or weeks. Assuming your registration is complete, visit busy.org, login with your username and #active keys. Set up your profile, and start blogging with it. 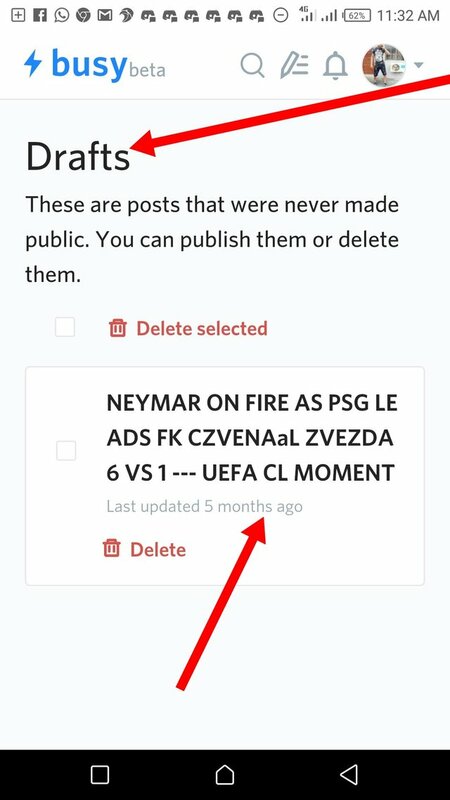 There is something that I really love about this platform, the reward they give on post and the platform own link which I can use instead of steemit.com link. With busy.org, you will have the privilege to choose from getting the link from your post as steemit.com link or busy.org link. Instead of voting randomly, I can also set a slider percentage in place when I vote. For some period now, the busy.org notification is down, will love to see it running again, this has reduced me from knowing when I get an upvote, comment or mention. Busy.org is trying in all means to ensure that there is engagement in the steem blockchain by ensuring that there is little reward to act as appreciation for using the platform. I will give this great dapp 4/5 for the creativity they are introducing to the steem blockchain.